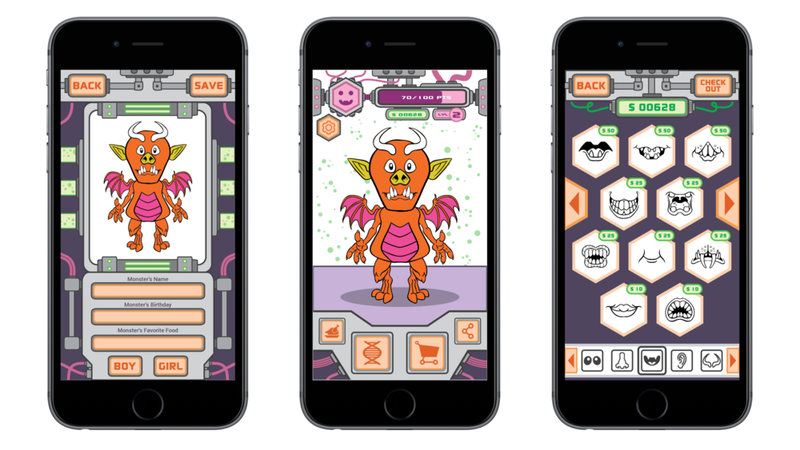 Monster Mashup the app is my attempt to adapt my best selling activity book into a digital platform/game. The book was designed to be a tool used for fostering creativity and developing cognitive skills through the act of tracing and drawing monsters piece by piece. 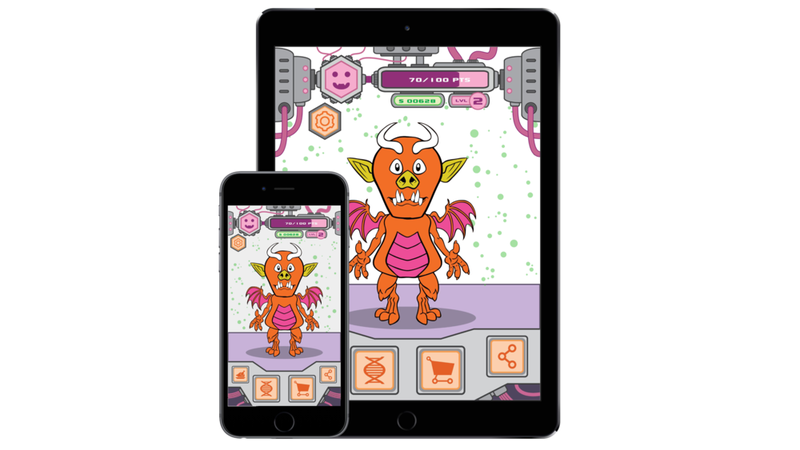 The challenge I faced with the app was finding a new way to make monster building creative, fun and worth revisiting, but without the physical learning component the book grants the user. My solution was to design a system of visual and touch based interactions that allows the user to connect with their creation. These interactions are also designed to work alongside a progression system. 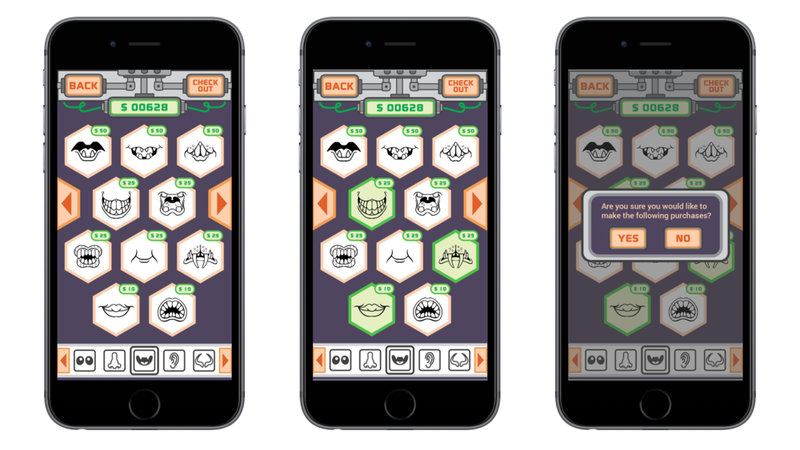 Completing an interaction when needed improves the monster's happiness granting the user with points. These points can then be used to purchased new and sometimes exclusive body parts from the Monster Shop. To play around with the prototype in Invision click here.